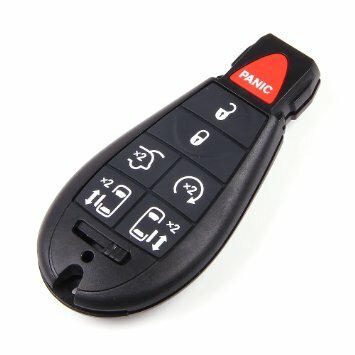 The keyless entry feature for my car stopped working a few weeks ago. This wasn’t too surprising, since my car is 17 years old. Nevertheless, I continued to try the keyless entry every time I approached my car to unlock it. Then, after about 2 weeks of having to use my key to get into the car, the keyless feature started working again. There is no explanation for why it stopped working; no explanation why it started working again. Some Christians are like my key fob. They can’t be counted on to work regularly. They just stop performing. They don’t do what they are supposed to do. Maybe they will start to function again someday; maybe they won’t. It shouldn’t be this way. God expects us to be faithful in our efforts to worship and serve him. Besides that, others are counting on us to do what God has created us to do—to function reliably for him. “But the fruit of the Spirit is…faithfulness…”—Galatians 5:22. This entry was posted in Christian Living, Church, Leadership and tagged faithfulness, fruit of the Spirit, Galatians 5:22-23, illustration, key fob, keyless entry, serving God, worship. Bookmark the permalink. I have found that if someone stops functioning properly it is because they have taken on more than they can comfortably do so they just STOP doing anything. It makes me sad for them.